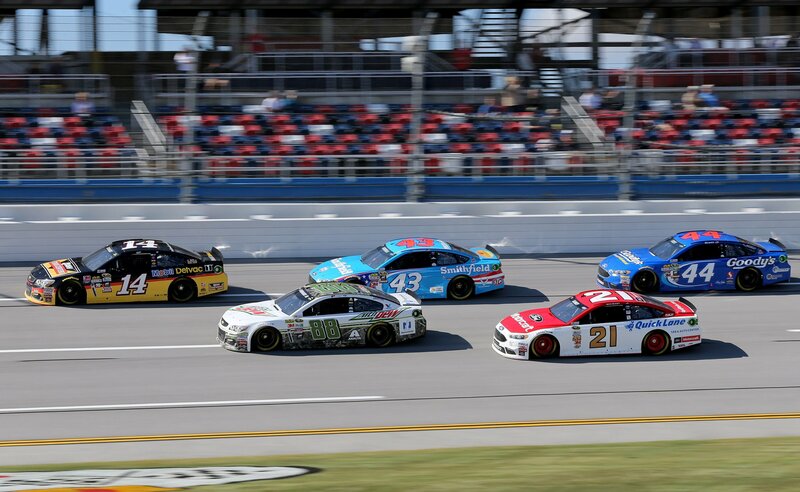 NASCAR Sprint Cup news and photos from the stock car racing series. This is archive coverage of the NASCAR division once sponsored by Sprint, an American cellular company. View the NASCAR Sprint Cup news archives here. The results of the 2016 NASCAR Superlatives are posted below. ‘Premier Series’ is a NASCAR term we were just getting used to – Scratch That! In recent months NASCAR fans were introduced to new terminology. The ‘NASCAR Premier Series’ began entering our radar via NASCAR executive interviews and NASCAR press releases. The 2017 Dale Jr paint scheme was released today via facebook live. Watch NASCAR driver Dale Earnhardt released the new Nationwide paint scheme in the video posted below. There’s also a photo gallery below of the new 2017 Dale Earnhardt Jr Nationwide 88 car. Mark Martin NMPA Hall of Fame inductee as winner of 40 NASCAR premier series races and a runner-up in the championship battle on five occasions. He has officially been selected for induction into the National Motorsports Press Association Hall of Fame. Heading into Homestead-Miami Speedway Toyota had a chance to make stock car racing history. They have now done it. Toyota has become the first foreign auto maker to win NASCAR Manufacture Championship. At season’s end, Toyota led the 2016 NASCAR Manufacture Standings by 25 points over Chevrolet. NASCAR veteran Greg Biffle announced Monday that he and Roush Fenway Racing have agreed to part ways, leaving the driver’s immediate future very much up in the air. Biffle, 46, had been with the company for 19 years. Brian France Talks New NASCAR Chase Changes – 2017 Chase Adjustment? NASCAR CEO Brian France congratulates Daniel Suárez. He also dropped hints of New NASCAR Chase changes possibly arising. France also says 2016 The Chase debut was a success for the NASCAR Truck Series and NASCAR Xfinity Series. Team owner Rick Hendrick expects Dale Earnhardt Jr. to receive his final clearance from medical doctors in the next six weeks. Clearance will allow Dale Jr to return to Sprint Cup racing, as scheduled, in February. It’s official, Tony Stewart confirms final race as Homestead-Miami Speedway. This Sunday the driver will enter his final NASCAR Sprint Cup Series start. Support from fellow NASCAR drivers has likely gone un-answered because Tony Stewart doesn’t have a phone. The rule states you can’t pass the pace car as you pull onto pit lane. However, drivers have been pulling up to pit for as long as I’ve been watching NASCAR. The final chase grid has been set. Matt Kenseth spins at Phoenix on final restart, shaking up the chase grid. The NASCAR race at Phoenix International Raceway was the last chance for drivers to claim their spot in the championship battle next weekend.